Twelve (!) point swing and Hillary above 50. 91% of Sanders supporters say they’ll vote for Hillary Clinton in new CNN/ORC poll, up 13 points from before DNC. Putin's going to have to better than the DNC email leaks, it seems. Trump's favorability rating plunged from (-5) to (-16) after the DNC, indicating that Democratic attacks hit their targets. It's unclear how much of the Khan controversy is baked into these numbers. What's especially remarkable about Hillary's big lead in the fresh CNN poll is that she's built it while remaining quite unpopular. 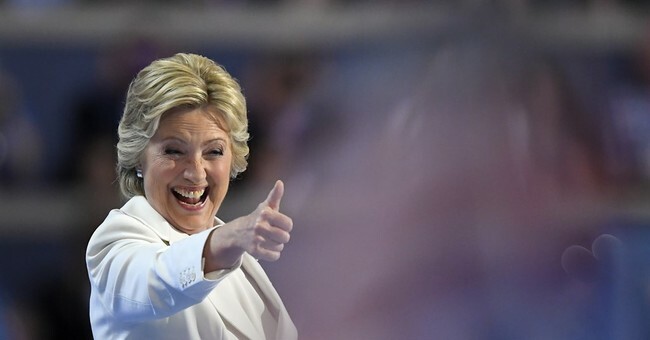 A solid majority of respondents still view her unfavorably, and just 34 percent call her honest and trustworthy. It's kind of amazing the number is even that high, frankly. All in all, it looks like Hillary Clinton has regained her footing as America's least un-favorite presidential nominee. Parting thoughts: If you're tempted to dismiss the polls as biased or skewed (I've left out the new Reuters survey, which changed its methodology), keep in mind that these are two polling series that were hailed by the Trump campaign just last week. Also, why would a confident candidate start peddling conspiratorial pre-spin like this?